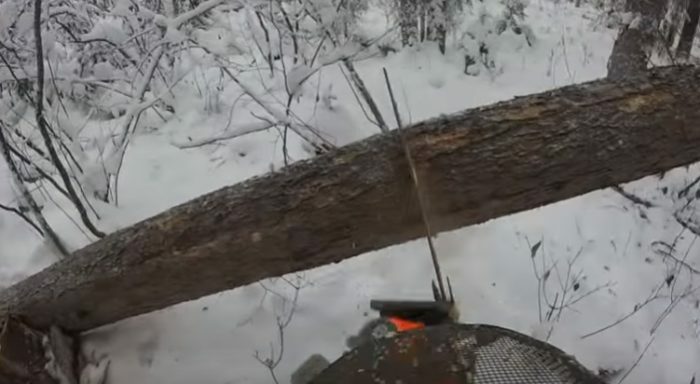 There are many fatalities involved with cutting trees in forests every year around the world, and here is an example of something to be aware of and that this person is lucky to walk away from…. In my own stupidity, I failed to realize how much tension this tree was under. It hadn’t fallen completely so I was intending to cut it shorter as I go. Lucky for me (not so much for my saw), the tree hit the handlebar on my saw instead of my arm. It threw me back and I was lucky that neither my saw or myself had any damage. I am VERY surprised that the handle was not bent. It must be really strong aluminum to take a hit like that! Props to Husqvarna for not cheaping out on materials! Anyways, Im blessed to walk away from that one, and next time I wont let something like that happen. Filmed in the Spruce Capitol of the World, Prince George BC, Canada!